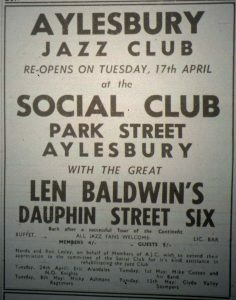 The start of 1962 saw the Aylesbury Jazz Club at the Town Hall, where it had moved to in November 1961 having left the Grosvenor Ballroom. 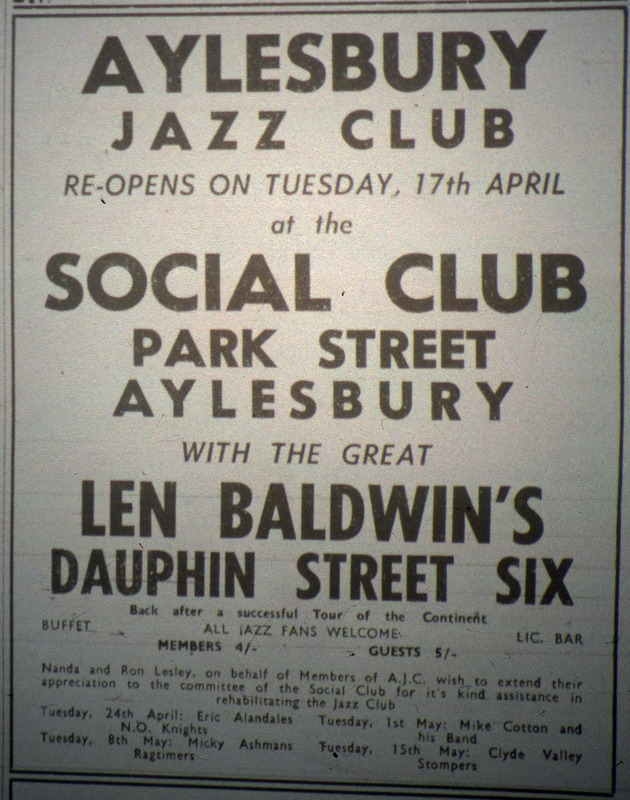 After the catastrophic fire at the Town Hall in March 1962, a further new venue was required – and this was at the Aylesbury Social Club in Park Street; the first show there was on April 17th. The list of artists appearing in 1962 has a familiar look to it compared with previous years – with Ken Colyer, Bob Wallis and Mike Cotton playing.